Please, please, please Santa, I know it’s early and all but if you’re listening I would love to own an item of Burberry Prorsum. Preferably one of their jackets please. The coats are all structured, simple but stunning. Christopher Baily is a genius. Fact. Make sure you check out the rest of his collection here. 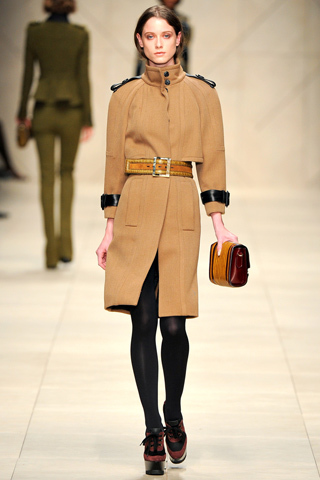 What’s your favourite Burberry piece? "Want it on Wednesday…that 70’s thang…"